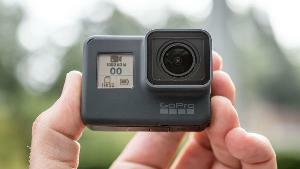 Contest: WIN: A GO PRO HERO 6! WIN: A GO PRO HERO 6! What you must do to enter: Create an account on Yentna and add a photo and subscribe. Watch the video for a step-by-step. Statistics: This contest was opened by 104 and entered by 6 ContestChest.com members. 6% of those who opened the contest, entered it.